I have an update on the ball bowling machines at the Krow’s nest. 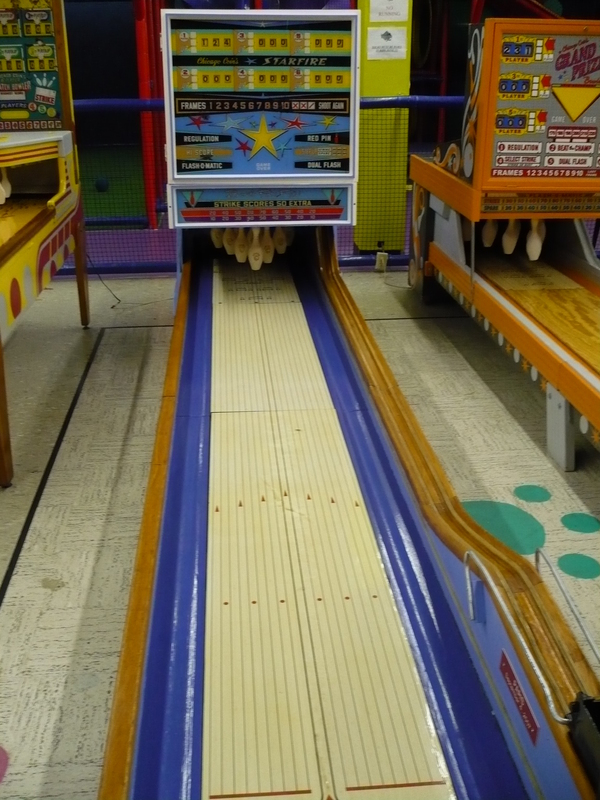 They have just brought in another machine which brings them up to 6 large ball bowlers and one puck bowler for a total of 7 machines. The new machine is not ready to play yet and it will probably be a while before it is since it has to be restored before it can be enjoyed by the public. Here is a video showing the insides of the machine (holy crap its complex inside!). I will be keeping all the readers updated on the restoration of this wonderful machine with updates when they occur. 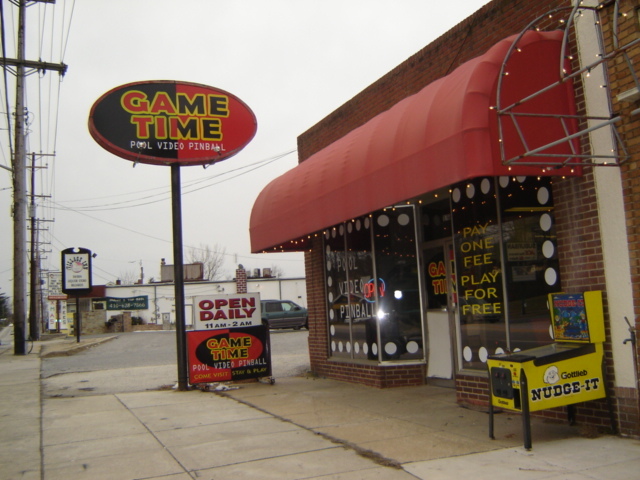 Game Time, a new arcade has just opened up in Cockeysville, Maryland. It is north of Baltimore. 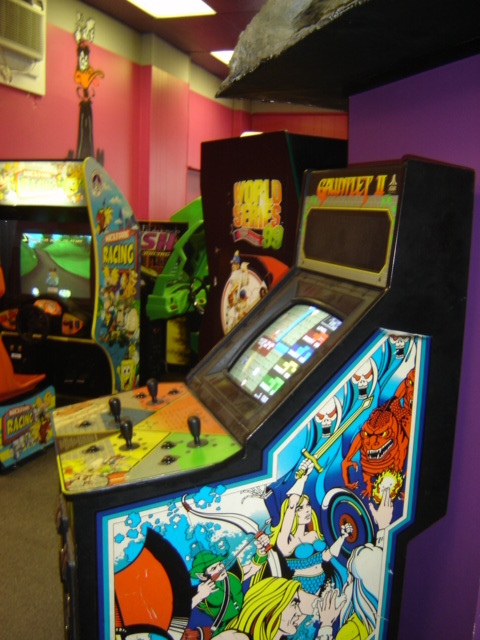 It is very nice to hear about a new arcade opening up in the states in this day and age. This arcade runs on an admission fee rather than pay per game, you pay an admission fee and play whatever you want without putting coins into each game. They have a huge variety of games, something that most arcades here in the states lack. 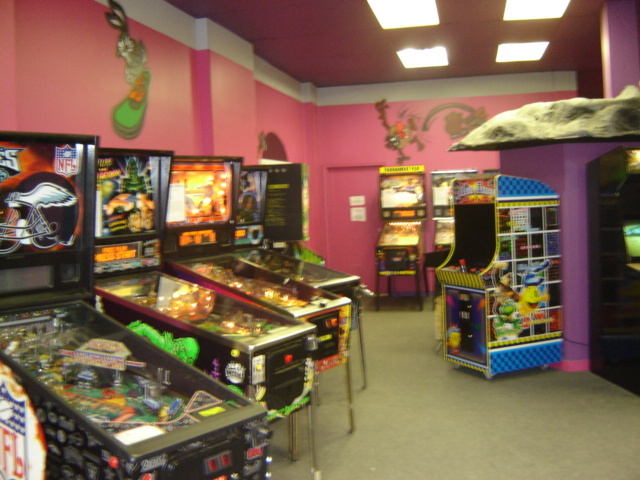 They have everything from Electro-mechanical Pinball machines to newer driving machines, classic games to DDR and everything inbetween. In addition to the EM pinball machines they also have a huge selection of modern pinball machines including the new Spiderman by Stern. Also they have some modern video game consoles set up and a pool hall and air hockey tables. 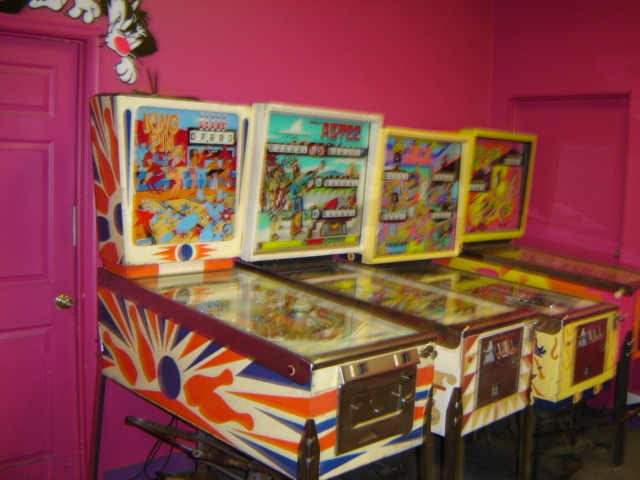 Over 40 games are available for play. 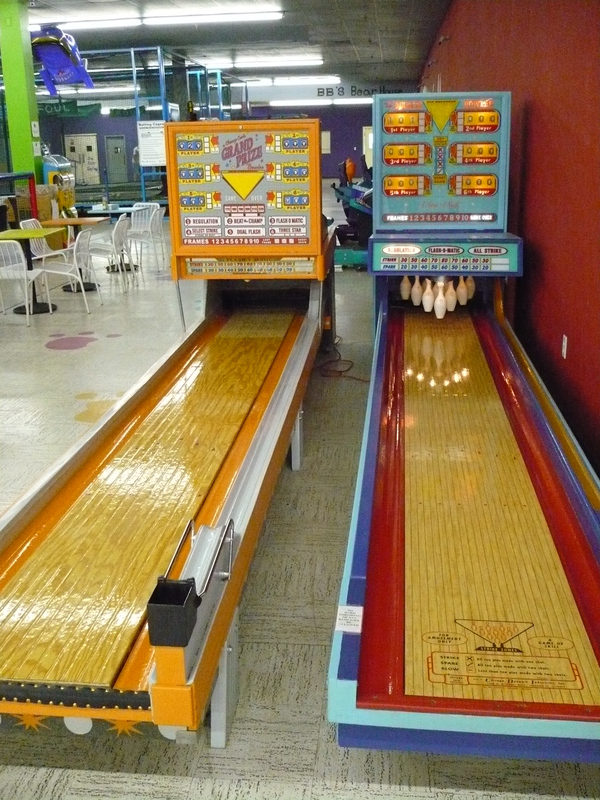 Ok, I went back to the Krow’s nest to get some more pics of the bowling machines that I reported on previously. There are 5 Ball Bowlers and 1 Puck bowler. All of the machines work. I also took a video of me playing one, however since I don’t have anyone to help me out with this I have to hold the camera while I play the machine, so the video is a bit shaky, but enjoy. This is something I have been pondering for some time. 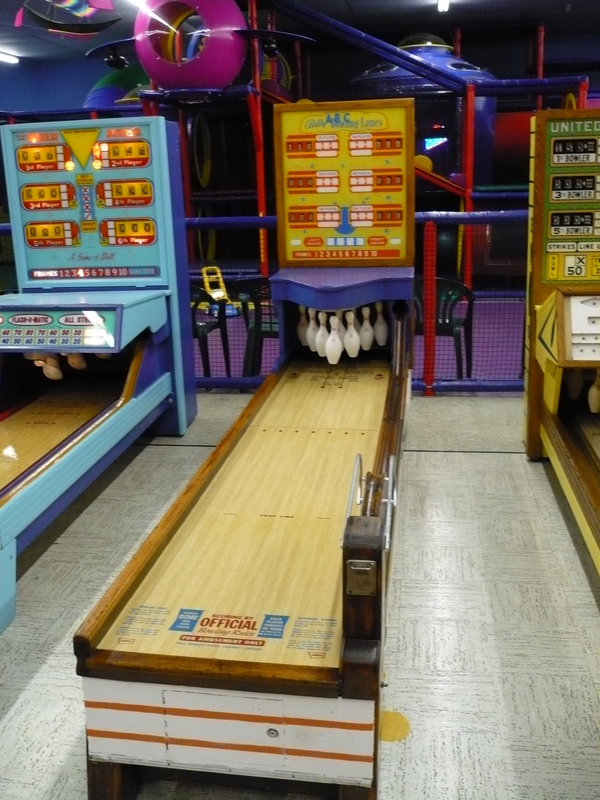 There is a local arcade near me called the Krow’s nest, and they are operating 6 of the large, ball bowling machines. 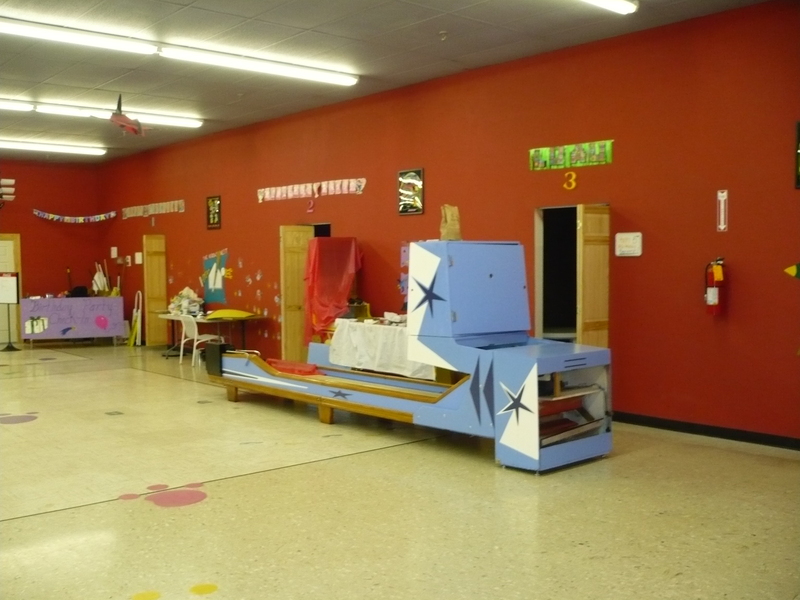 This arcade is a combination kids family fun center and arcade. Yes you heard me, 6 of them. 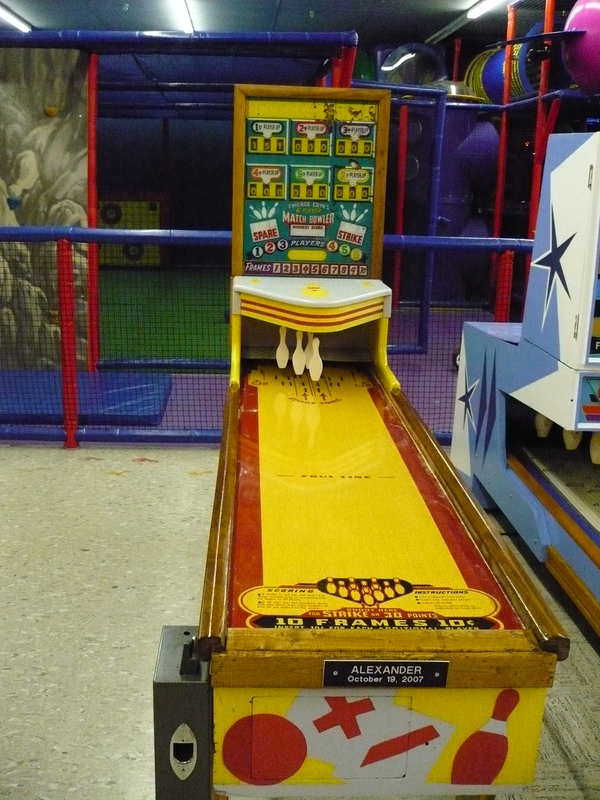 These are not the small puck bowlers either, these are the real ones made in the 1960’s or 70’s and are played with a ball similar to a skee ball. 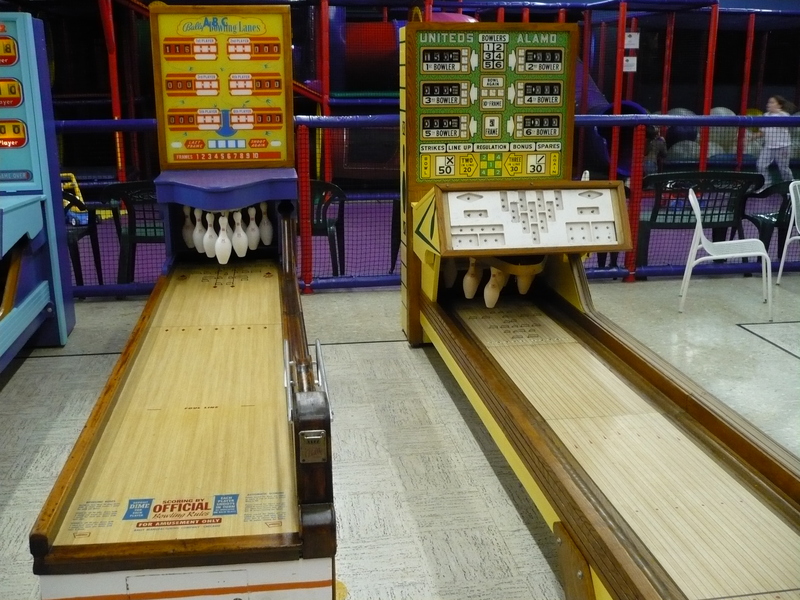 I really don’t know much about bowling machines like these, but I know its extremely unusual to find even one operating in an arcade in this day and age, and that its quite an undertaking to restore even one of these machines to working condition. I have been going to arcades since the 1980’s and I have never seen even one of these machines in an arcade, until now that is. I have not spoken to anyone at the arcade about these machines, but there is an obvious obsession with bowling machines going on here. You all know the story, it started with one machine, and now there are 6. I am unsure if all 6 are operational, but they are definitely there. I am curious about how far they are going to take this obsession, if there are 6 now, how many will there be in the future? I took these pictures back when they had 2-3 machines and were just bringing more in. Click the links below to view the pictures. Here is a link to the web page of The Krow’s Nest Arcade, in case anyone is wondering where it is.